The Mahindra team celebrated a third successive top ten finish at yesterday’s Spanish Grand Prix, with rider Efrén Vázquez claiming eighth place in a fighting ride to maintain the all-new MGP3O’s record in its first races.However, bad luck for Miguel Oliveira meant he missed out on points, after being knocked off then remounting to finish 16th. After starting 15th on the grid, the 18-year-old Portuguese rider had forced his way to near the front of a big pack disputing fourth place when the accident happened on the 11th lap. For Vázquez (26, from Spain) it was the reward for a strong ride, the MGP3O’s superb handling helping him also battle in the same big group as his team-mate. 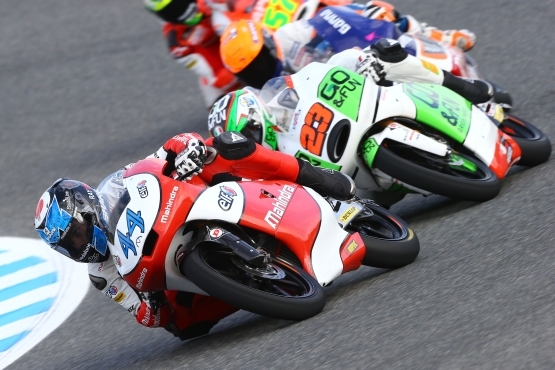 The race was stopped early after a crash, the second time in succession a red flag has taken the place of the chequered flag in the very competitive Moto3 class. This time more than two thirds distance had been completed, and the results were taken from one lap earlier – the 15th of a scheduled 23. This was the third of 17 rounds, and in every race so far the only Indian team in motorcycle grand prix racing has taken at least one top ten position at every round. 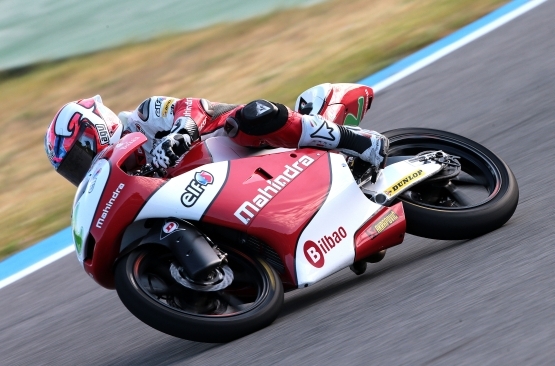 Miguel’s misfortune meant it was the first time that Mahindra failed to get both riders in the World Championship points. 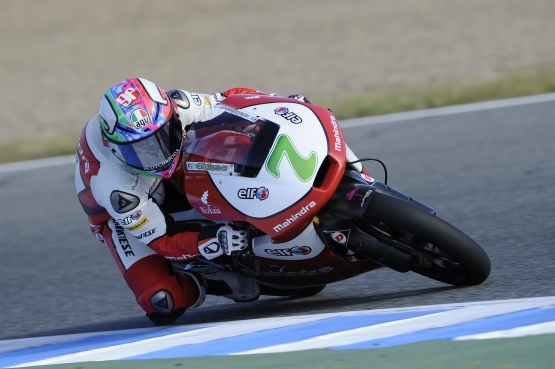 The next race is at Le Mans in France in two weeks – another twisty circuit where the brand-new MGP3O’s handling strengths should pay dividends. 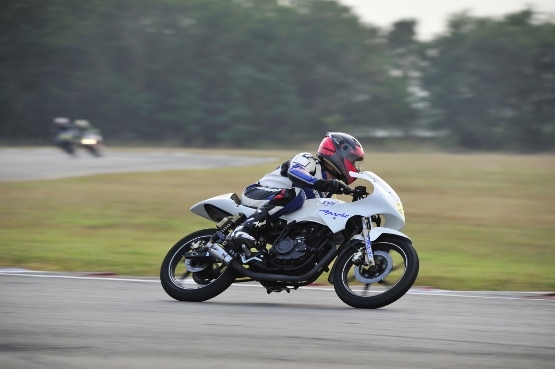 The Mahindra machine is the newest on the grid – built, tested and made race-ready in less than six months, and is still at an early stage of development. KTM 390 Duke Midnight Black out!